The thing you must know about tummy tucks is that it’s a surgical process. This means the surgeon will actually CUT you! It might be tempting to do your tummy tuck in Thailand and save a few hundred dollars. But always consider the “what ifs”. There might be complications that will need you to go for follow-up reviews. If such a situation arises, you will curse the fact that your doctor is in Thailand and can’t help you when you’re in pain. It never hurts to be too safe. Go with a local surgeon. A doctor-patient relationship is more than a business transaction. 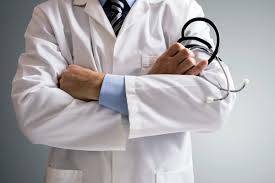 Your doctor must be one that is trustworthy and recommends the best advice based on your unique requirements. Once again, seek multiple opinions before making a decision. You wouldn’t want to go for constant follow-ups with a doctor you don’t like, right?